The plot is a frame story for a series of 23 short stories, most preceded by a free verse poem. Each story is followed by a chapter of the main narrative, is told by a character in main narrative, and ties back into the main story in some way. 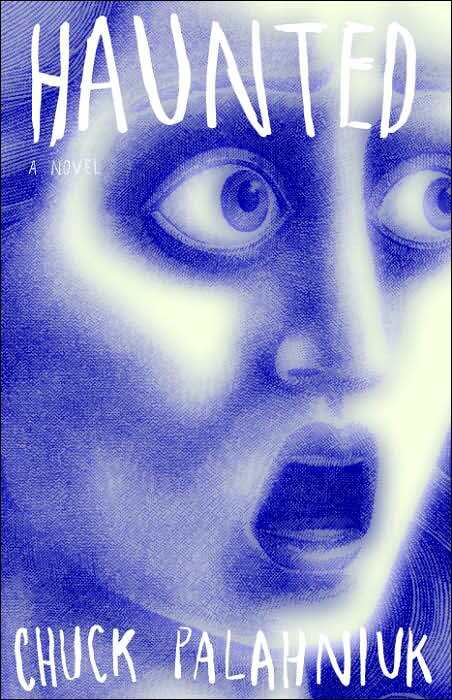 The synopsis on the dustjacket describes Haunted as a satire of reality television, but according to Palahniuk, the novel is actually about “the battle for credibility” that has resulted from the ease with which one can publish through the use of modern technology. One of the book’s short stories, Guts, can be read for free on the author website, here (warning, it’s quite sexually graphic). This entry was posted in American Films and tagged Choke, Chuck Palahniuk, Ex Drummer, Guts, Haunted, Koen Mortier by Mr Hollywood. Bookmark the permalink.